Sign up and receive Property Email Alerts of Houses for sale in Cowies Hill, Cowies Hill. 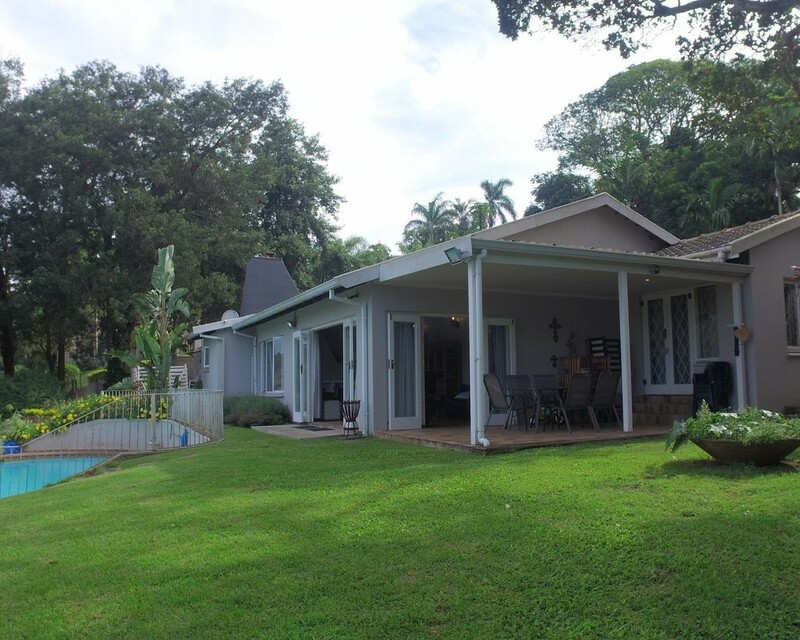 Absolutely gorgeous family home (220m2) set on a 3 033m2 stand. Old world charm meets modern finishes! Main house has 3 bedrooms (all with laminated flooring and built-in cupboards), 3 bathrooms (2x en-suite and a family bathroom), double-volume living area that leads out to a spacious under-cover patio/entertainment area, separate dining area, fitted kitchen with a stove and extractor fan, study/office with built-in cupboards as well as a large laundry area conveniently situated just off the kitchen. Set upon the gorgeous, landscaped gardens is a fenced off swimming pool, staff accommodation and the bonus? Two income-generating granny flats! One is a 2 bedroom (120m2) and the other is a 1 bedroom (71m2). There is also a carport that can easily house 3 vehicles. Sign-up and receive Property Email Alerts of Houses for sale in Cowies Hill, Cowies Hill.